The DEH-X5800BT is your ultimate companion on the road. 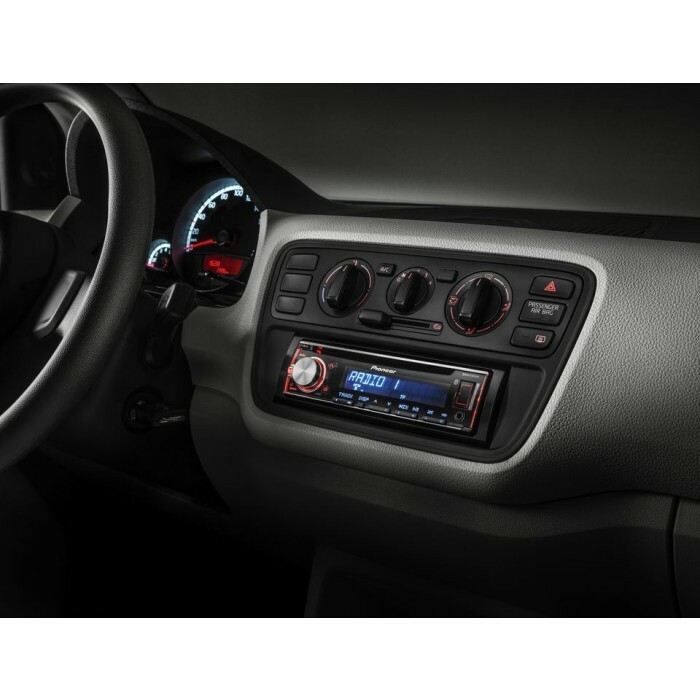 It lets you tune into the FM radio, slip a CD in the drive, or connect wirelessly via Bluetooth to make or receive a telephone call, or even simply just to listen to your favourite tracks. 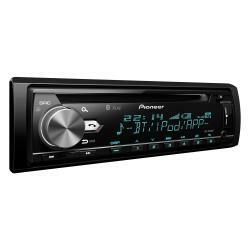 Pioneer DEH-X5900BT - CD Tuner with Bluetooth, USB and Spotify. Connects to Apple iOS & Android devices. The DEH-X5800BT is your ultimate companion on the road. 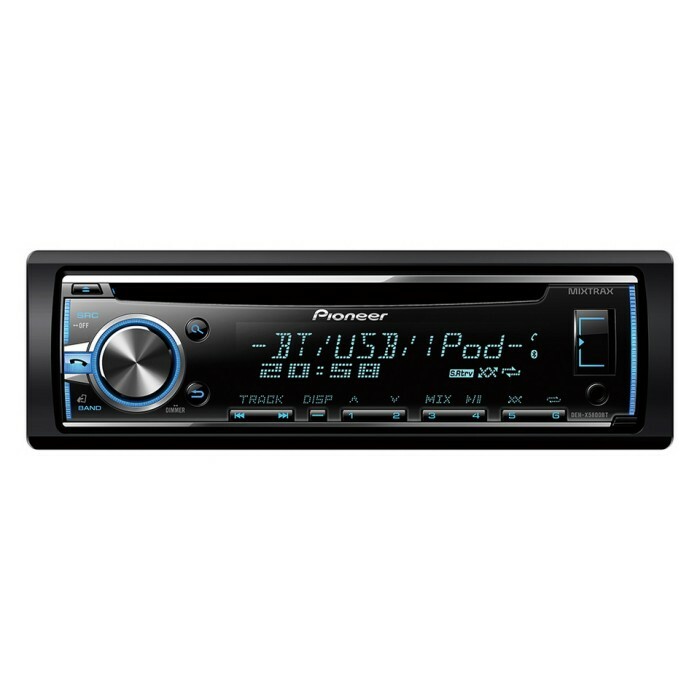 It lets you tune into the FM radio, slip a CD in the drive, or connect wirelessly via Bluetooth to make or receive a telephone call, or even simply just to listen to your favourite tracks. Thanks to the Advanced Sound Retriever for Bluetooth you'll enjoy amazing sound quality. 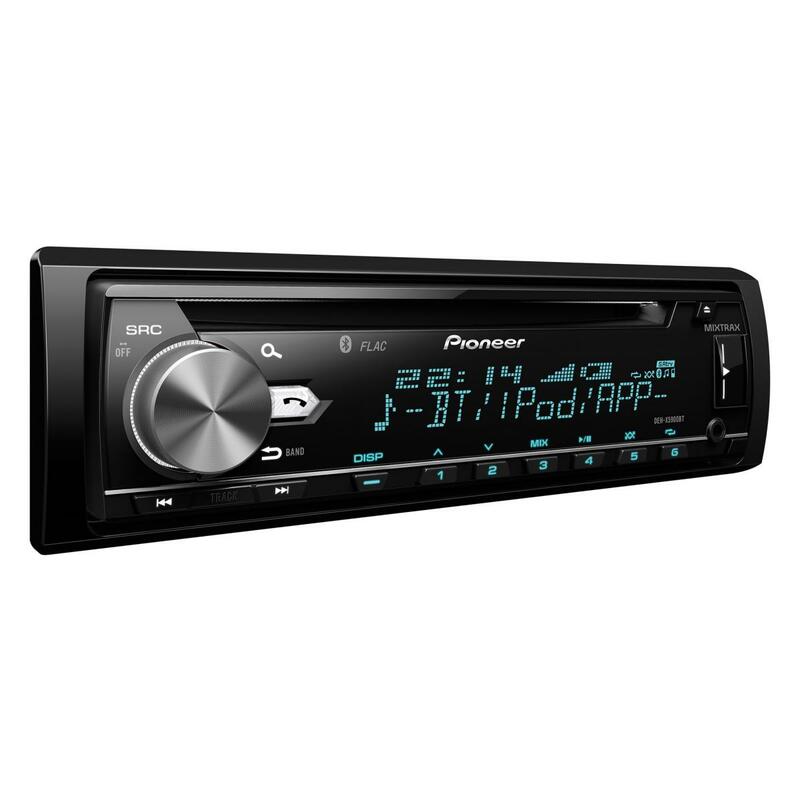 On top, the front USB and Aux-in allow you to play back music from a wide array of digital sources. The stereo's built-in amplifiers will deliver 4 x 50W of MOSFET power and crystal clear audio reproduction. If you want more power, you can hook up a subwoofer or an extra amplifier using the 2 RCA pre-outs. Easy to fit, excellent sound and features..such an improvement on the old unit in my old Boxster (Becker), I bought another for our runaround (Matiz)..minor niggle, the trim supplied is shiny..a Matt finish would have suited better, but you don't really see it after a while. Nice also that you can customise display colours ( mess with RGB figures) to match displays in car and mix match display/keys with custom or preset colours. All in all very happy with product. Thanks for your question, to fit the DEH-X5800BT we have shown some parts below, there are 2 steering wheel control harnesses there as it depends on which connectors are behind your original radio, we all know that French wiring can be a bit finicky so it is best to check first. Hope this helps. To fit the DEH-X5800BT to your Alfa GT you will require the following parts. hi will this fit in my car and will I need any other tools or keys to fit it? or do they come with the stereo. Wiring harness, CTSST002.2-only if you have steering wheel controls. You will require basic hand tools. To fit the DEH-X5800Bt to your 106 you will need the following parts. Will this unit fit my Audi TT 2002? I which to replace the factory fitted Bose system. Will this also tie into the dash board info screen as the original one does ? Hi I have an Audi a4 cabriolet 2006 single din with 7 speakers front and 2 rear. You will need the below listed parts for installation. Steering control interface is also listed. Hey guys, just wondering what other parts would I need in order to fit this piece of kit( Pioneer DEH-X5800BT)to my car which is a Vw 2003 Golf,3door? You will need the below listed aerial adapter for your VW Mk4 Golf. I've got a classic rover mini, year 2000, do you know what accessories I will need to fit it? 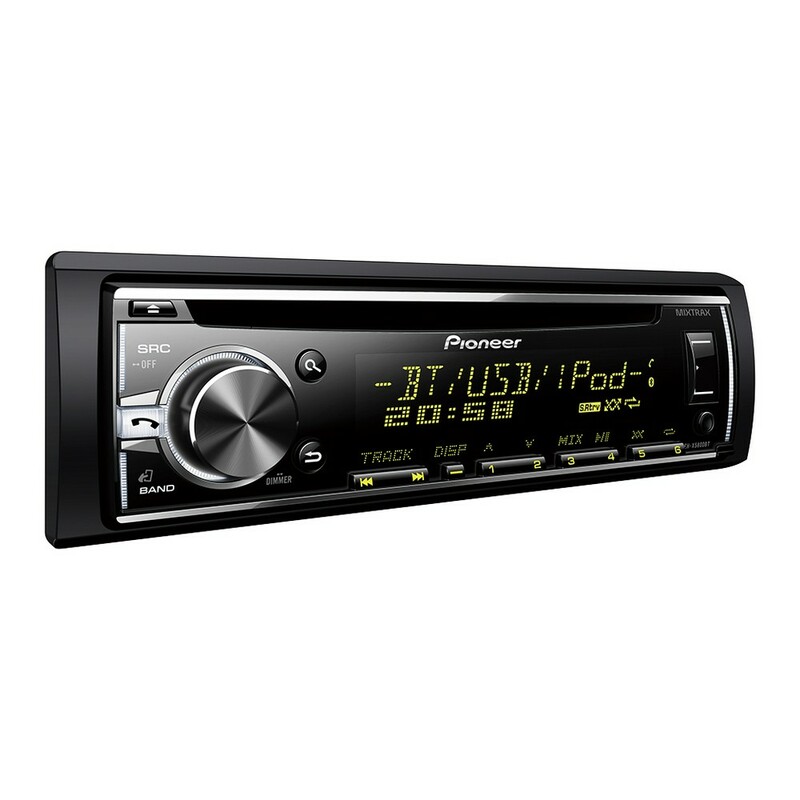 The Pioneer DEH-X5800Bt can be installed in your Peugeot 206cc. You will need the below listed parts for installation. I have a 2005 Audi A4 B7. What other parts do I need to fit this to my car please? The current radio is an Audi concert. thanks for your question regarding the DEH-X5800BT, we have suggested some parts below. yes the pioneer dehx5800bt will fit into a renault scenic, you may require parts depending on the year. Can this be fitted in this model car. If so what extra does it need? For your year & model of car there is no fascia solution to fit an aftermarket unit. hi you have any links for the fascia and antenna adapter? i bought this HU for my r53 mini with boost and Harman kardon, i also have MFSW. what will i need?